Jennifer Walvoord is the West Michigan Symphony concertmaster and is one of many Walvoord family members who have been associated with the symphony. Jennifer’s mother, Kay Walvoord, an oboist, was once a member of the symphony. Jennifer’s sister, Amanda Dykhouse is principal second violin with WMS and our orchestra librarian, and her older sister Martha was concertmaster of WMS at one time. Jennifer graduated with her Doctor of Musical Arts degree from the University of Michigan in Ann Arbor, Michigan. 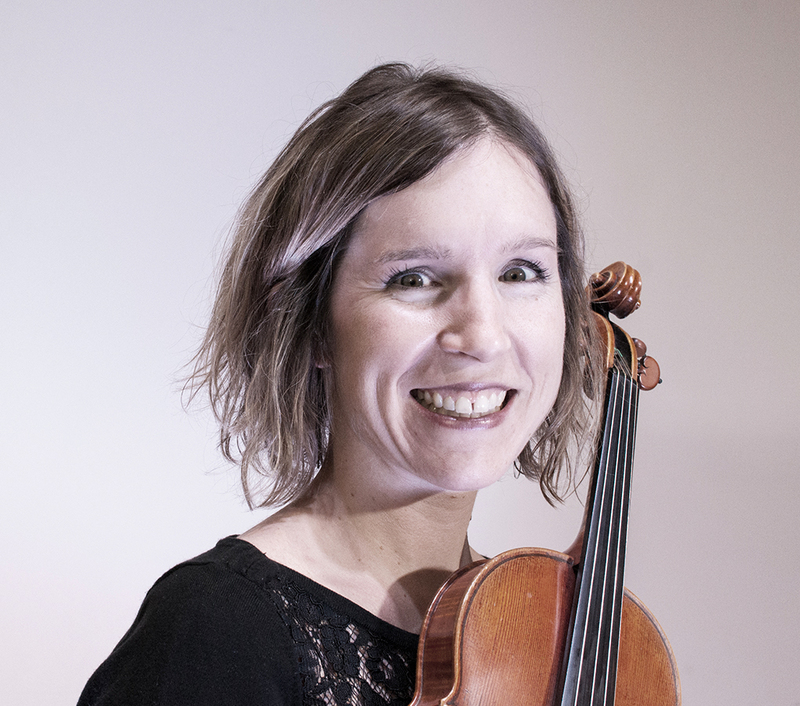 She has Master’s degrees in both violin performance and chamber music from the University of Michigan, and a Bachelor’s degree in violin performance from Hope College in Holland, Michigan. Her former teachers include Andrew Jennings, Aaron Berofsky, and Mihai Craioveanu. Along with holding the position of concertmaster with the West Michigan Symphony, Jennifer has been a member of the Grand Rapids Symphony, Flint Symphony Orchestra and National Repertory Orchestra (Breckenridge, Colorado). She has performed as soloist with the West Michigan Symphony, the Holland Symphony Orchestra and the Hope College Orchestra. While at the University of Michigan, Jennifer performed electric violin on the Grammy Award-winning recording of William Bolcom’s Songs of Innocence and Experience conducted by Leonard Slatkin. Jennifer is an active chamber musician, and she performs recitals regularly with her husband, pianist Dr. Andrew Le. Jennifer and Andrew are the Artistic Directors of the Chamber Music Festival of Saugatuck. She is also Director of Marketing for the Holland Symphony Orchestra. Jennifer collaborated with her sister, Martha, on a recording called “American Perspectives” which was recently released on the Centaur Records Label. Jennifer and Andrew live in Holland, MI with their son, Matthew and daughter, Katherine.